Step up to the Podium. 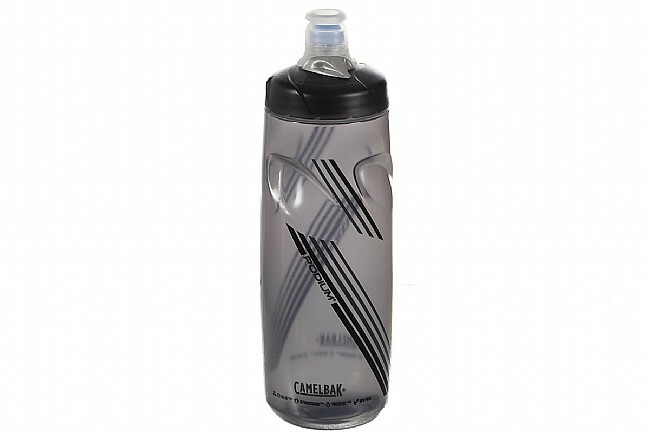 You might not think much about the operation of your water bottle, but the Camelbak Podium shows you just how much your normal bottle is lacking. The Podium features a wide-mouth top for easy filling, and the silicone Jet Valve™ nozzle automatically opens when the bottle is squeezed and then closes on its own to eliminate any of the fussing and spilling you get with traditional valves. Made from Trutaste™ polypropylene with Hydroguard™ for a clean, fresh taste every time. I only use the Camelbak bottles on my rides. I really like the contoured bottle for holding it securely. The non leak tip is great as well.